It’s summertime and in my house, that means more greens! Since I live in a world of vegetarians, salads are usually part of our meals anyway. But, when you are not in the mood for a “traditional” meal, and are craving something crunchy, easy to digest in 102 degrees and with a bit a tang, give this one a try. This is for you, Samantha. I have heard that if you build it they will come…So, Sam, if I make it will you come home for a visit? Place lettuce and cucumbers in a salad bowl. 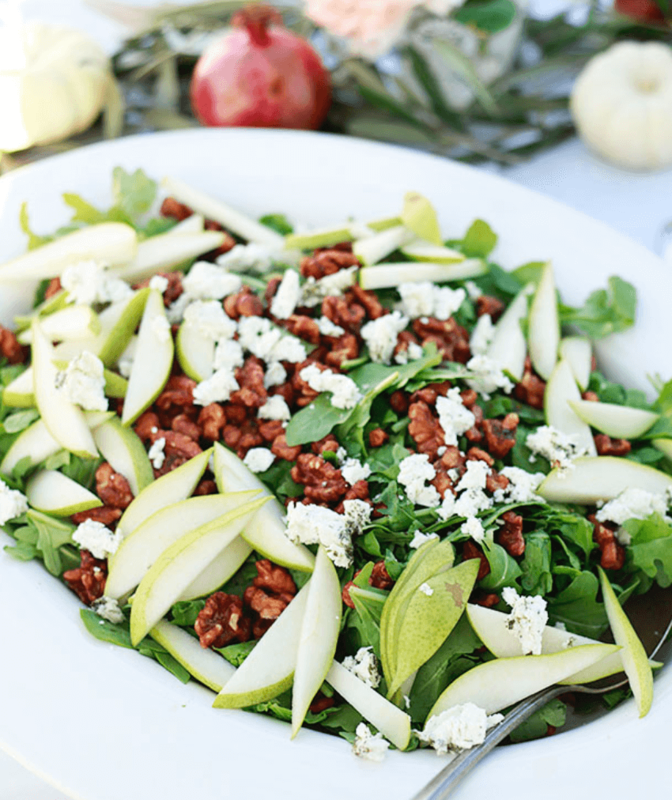 Top with apple slices, pears, goat chees and walnuts. In a small bowl, whisk together the olive oil, vinegar, maple syrup, mustard, garlic powder, salt and pepper. Toss salad with desired amount of dressing.